Have you ever audited yourself? Ever made an annual report of yourself? How about a monthly, weekly, or even daily audit? Not a journal of feelings, but rather, like a business audit, one that is focused on actions and results. Journaling has been widely discussed as a means of putting ones thoughts to paper. 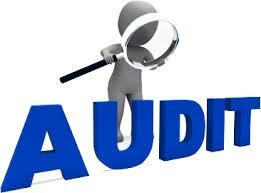 An inner audit, is focused more on the actions of the day, replaying the day and analyzing it with a ‘birds eye view’. One that is focused on “That was a great meeting” “I’m glad I responded that way” “I could have used my time better” “That outburst was uncalled for” “My morning was too rushed” “How can I do better tomorrow?”. Mentally replaying our day, objectively analyzing it and making plans for tomorrow, can have tremendous benefits to our emotional and mental health, as well as keeping us focused and accountable. This can be done nightly on a small scale, weekly (perhaps Thursday night before the weekend) with a little more length and annually on a larger scale. We should not underestimate the powerful effect of just thinking. Warren Buffet is known to spend a considerable amount of time thinking. Tim Armstrong (CEO of Aol) has his executives spend four hours per week, just thinking. Jeff Weiner (CEO of LinkedIn) schedules two hours of thinking time every day and Bill Gates is famous for taking a week off a couple times a year just to reflect deeply without interruptions. The secret of success for many a business, is the honest self assessment, the reports and the self audits. Personal introspection can give us that kind of success. But like a business, it needs to be focused, purposeful and constructive. Ruminating and replaying negative experiences can have a detrimental and paralyzing effect. We need to focus on our strengths, our successes and our moral victories. Our failing should cause us to feel disappointment as opposed to depression. One way to achieve this is by self auditing at the correct times and with the right frame of mind. Smack in middle of the day is rarely good. During the day we are busy, we are accomplishing. In fact grinding our day to a halt by focusing intently on disappointing behaviors, can have an adverse affect. It can pull us down and ‘stop us in our [productive] tracks’. Night is a time we can put the entire day in proper perspective, allowing ourselves to ‘sleep on it’ and waking up invigorated, driven and purposeful. From a Jewish perspective, this is the time of introspection and personal ‘stock taking’, as we enter into the final month of the Jewish year -the Hebrew month of Elul. May we all be blessed with a wonderful new year ahead. A year with the most important blessing -great mental, emotional, spiritual and physical health.